Join us for this awesome event and rock out to your favorite old school hits from the past century. (20) Regular Games Pay $250 with 20 drawings throughout the night. 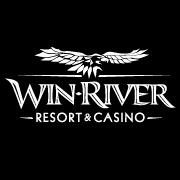 If you're looking for entertainment around Redding, Win-River Resort & Casino offers exciting action and things to do that will keep you entertained. Live music, DJs, Karaoke, Game Nights and much more are on the menu for fun.